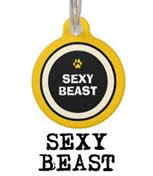 Choose your favorite color and customize your dog ID tag. 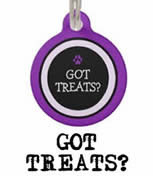 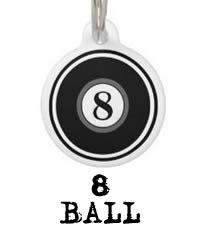 These two-sided dog tags come in two sizes, small (7/8 inch diameter) and large (1 1/4 inch diameter) which you can choose when you customize your tag. 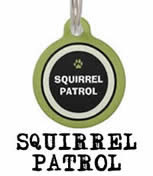 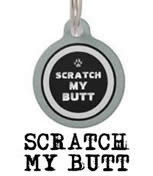 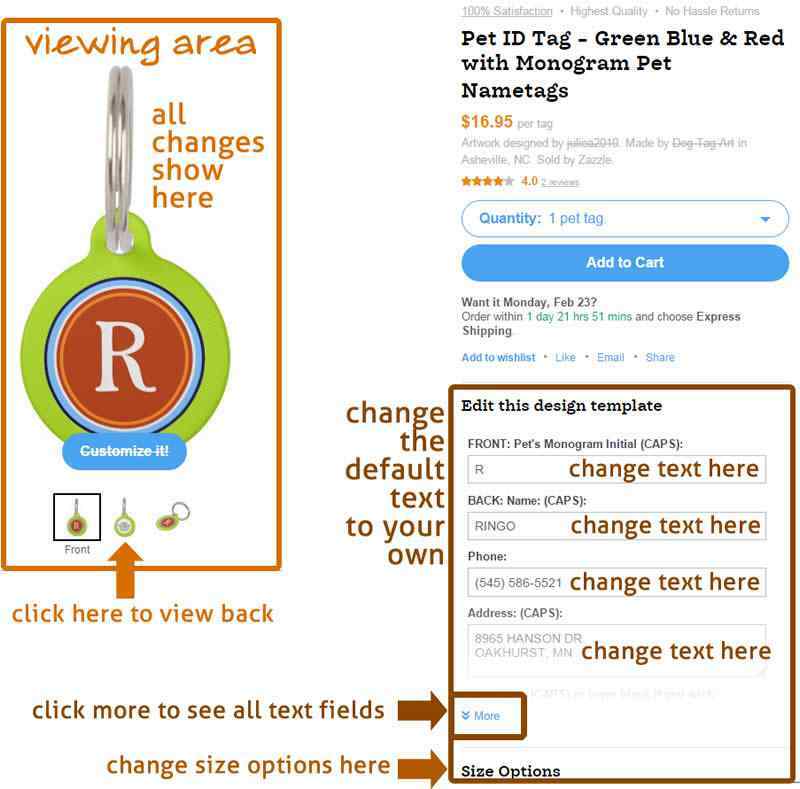 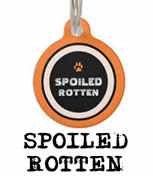 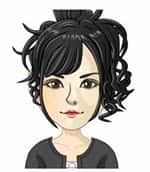 I recommend the small tags for cats and toy dogs and the large tags for small to large size dogs. 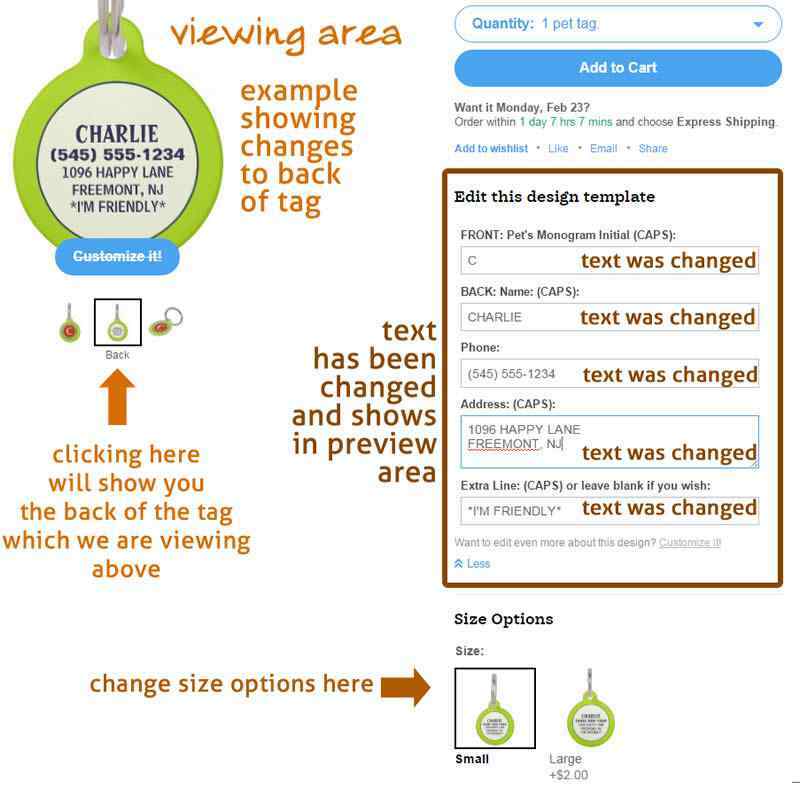 These tags are 100% recycled steel that are guaranteed to last. 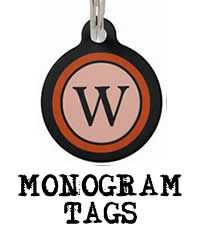 These tags come with their own small split ring to hang from the collar.